The Vancouver-based New Buildings Institute (NBI) tracks energy efficient built work, and their 2014 update, “Getting to Zero”, provides a snapshot of the emerging U.S. market for net-zero buildings—those are structures that use no more energy than they can gather on site. 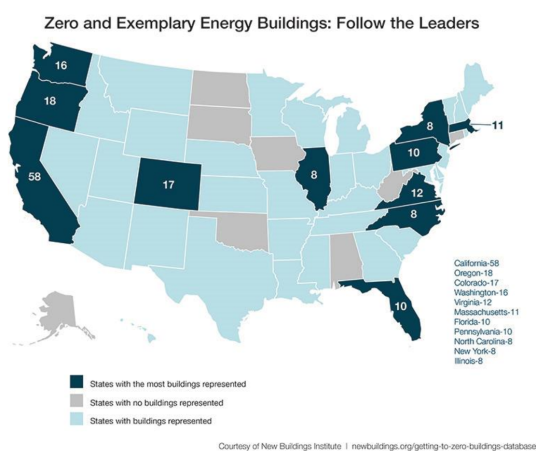 In the United States, California leads in the number of low and zero energy projects with 58, followed by Oregon (18), Colorado (17), Washington (16), Virginia (12), Massachusetts (11), Florida (10), Pennsylvania (10), Illinois (8), North Carolina (8), and New York (8). NBI also compiled a database of all their buildings. 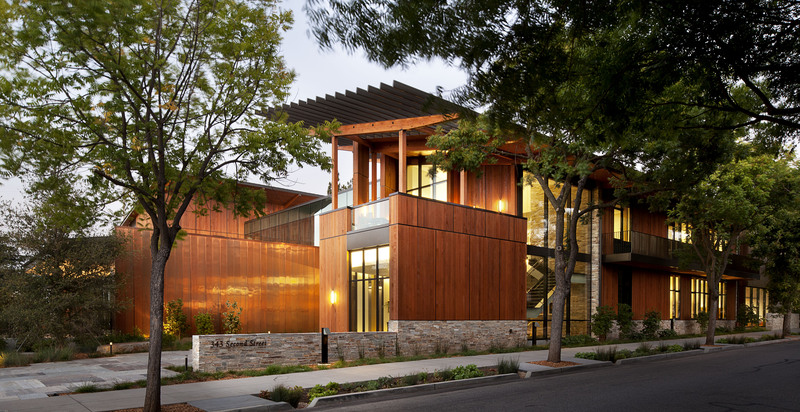 They say architects and developers interested in pursuing net-zero design could find inspiration there, searching according to their local climate and/or building characteristics. The database includes energy-efficient and high-performance buildings that are not net-zero, as well. 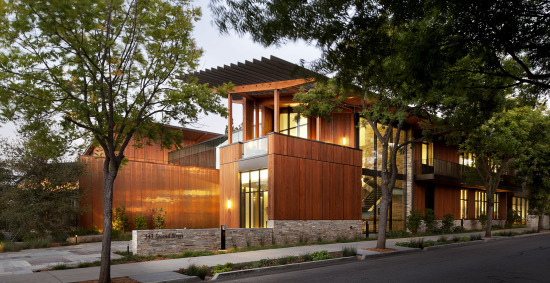 Though the trend has succeeded in garnering attention and excitement among many designers, true net-zero buildings remain elusive in the built environment. So far NBI has only certified 37 buildings as net-zero. That ranking is based on performance—each building underwent a review of at least 12 months of measured energy use data. If piece-meal projects aren’t yet adding up to a groundswell of net-zero design, NBI is also pushing systemic change—rigorous energy efficiency standards recently adopted in Illinois took cues from the group’s Core Performance Guide. California Colorado David and Lucile Packard Foundation energy Energy Efficiency Florida Illinois LEED LEED Platinum Massachusetts Natural Ventilation net zero New York City North Carolina Oregon Pennsylvania San Francisco Vancouver Virginia Washington, D.C.